What Are Quality Control Labels? Quality control labels help you monitor inventory and product quality characteristics. Hospitals, clinics, physicians’ offices and more use quality control labels to easily document any type of inventory. Quality control labels ensure classifications are met before using, storing or shipping components and products. They help manage dated inventory, medications, reagents, instruments, charts, central supply bins and more. 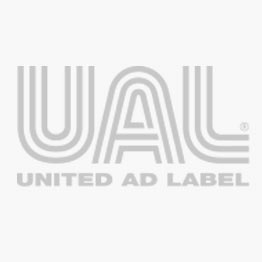 United Ad Label quality control labels allow you to record inventory lot numbers and identify ready to use lots, new lots, do not use lots and more. Plus, they allow you to identify materials received, approved and rejected. UAL quality control labels are in stock and available for immediate shipment. #1 Numeric Inventory Label, 1" x 1"
#10 Numeric Inventory Label, 1" x 1"
#11 Numeric Inventory Label, 1" x 1"
#12 Numeric Inventory Label, 1" x 1"
#2 Numeric Inventory Label, 1" x 1"
#3 Numeric Inventory Label, 1" x 1"
#4 Numeric Inventory Label, 1" x 1"
#5 Numeric Inventory Label, 1" x 1"
#6 Numeric Inventory Label, 1" x 1"
#7 Numeric Inventory Label, 1" x 1"
#8 Numeric Inventory Label, 1" x 1"
#9 Numeric Inventory Label, 1" x 1"